I am always testing out new, unconventional ways to sew so I can sew faster and easier, thus making more for kids in need. So you may notice some unusual methods in the illustrated instructions below. 2 - Fat Quarters 18" x 22" (1 each of two different fabrics). I will be referring to one as lining fabric even thou they are reversible. 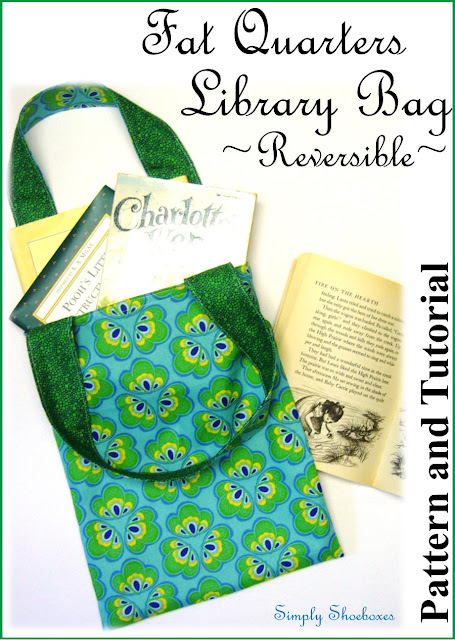 Matching Windham Fabric fat quarters for library bags. I won this fabric in a blog giveaway a year or so ago. Use 3/8" seams unless otherwise noted. Back stitch at beginning and end of all lines of stitching. Straighten fabric pieces if not even. Some of my fat quarters were a little different sizes from one another. Cut off excess selvage if it is wide. I usually leave 1/4" if it is not pulling up as it will be hidden in the seam. Cut 2 - 2 1/2" strips off the full length of the 22" side of each fabric. You will have four pieces 2 1/2" x 22". Optional: if you want stiff handles interface them. 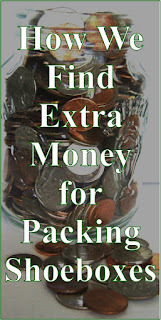 I leave this off as I like soft handles and it takes up less room in the shoebox so I can add more other items. I make my handles differently than I have seen done. I am always looking for easier ways and to be honest I HATE to turn fabric tubes. 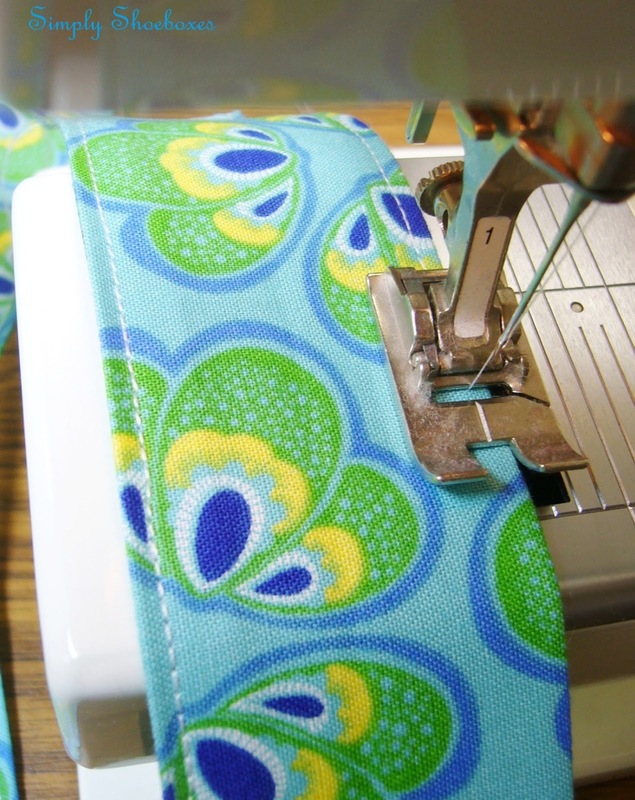 You may choose to do them the conventional way of sewing both sides and turning. With right sides together pin two of the handle strips together along one of the 22" sides. Use one of each fabric. Press under 3/8" on each long unfinished edge of handles. With wrong sides together, and matching pressed under edges, press handles. Edge stitch 1/8" along both long sides of handles. Be sure to catch both front and back sides on pressed under edge. Cut remaining pieces of fabric in half to form two 11" x 13" pieces of each. With right sides together pin along both 13" sides and across one 11" side. Stitch pinned edges. I back stitch at corners for reinforcement. Optional: Finish edges. Many people choose to, but since they are enclosed I leave them raw. 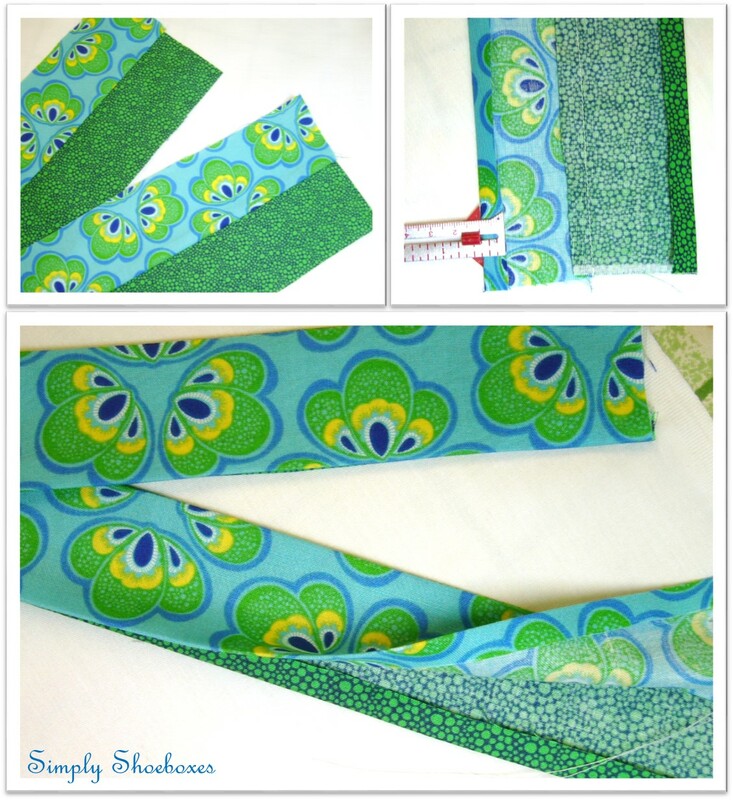 Matching like fabrics, pin handles to top edges of right side of outer fabric 1" from each seam. In the image I have started with the lining and turned the lining fabric inside out before I pinned. This makes it a little more difficult. I now do them as described above. 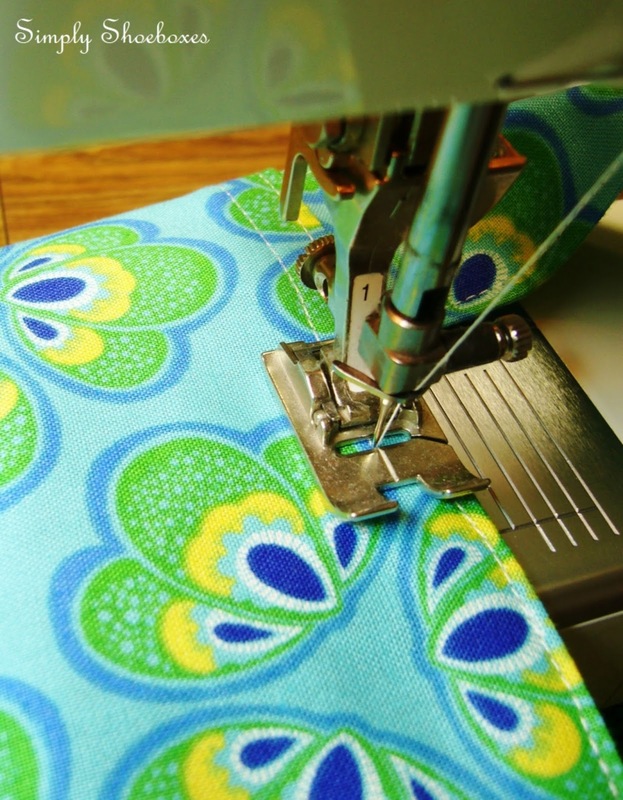 Stitch handles to outer fabric at 3/8" and again 1/4" from edge for added strength. Again, my image shows the lining fabric. Turn lining fabric inside out and slip over outside of handles and outer fabric matching with the top edges of the outer fabric and matching side seams. Right sides of bag fabrics will be together. Pin -- mark a spot in the middle of the front for turning; this will not be stitched (I pin it sideways). Stitch using a 1/2" seam allowance leaving a 3" opening for turning (where marked). Turn bag right side out thru opening. Press the top edge seam well, pressing under the 1/2" seam allowance in the 3" opening. Edge Stitch 1/8" from the top edge of the bag being sure to keep the edges even to catch the back side of the opening. Stitch again at 3/8" from the top edge. After these stitchings, the handles will have been sewn a total of five times. If you feel the need for additional security you can back stitch over handles in above step. 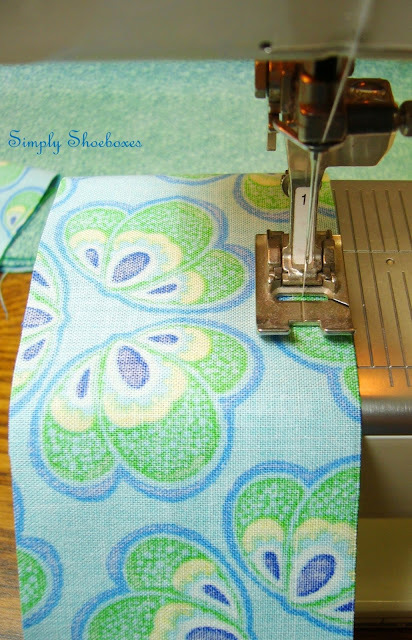 If your fabric design allows, you can sew the bag sideways so the opening is wider than the height. If you do this, attach the handles 1 3/4" in from the side seams. 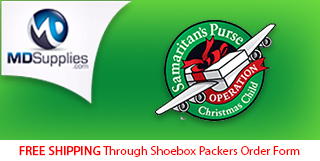 Perfectly sized for a School Supplies Bag (all ages for Operation Christmas Child shoeboxes). 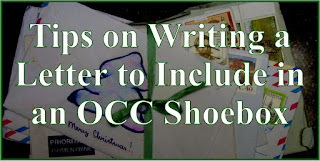 Wondering how to fit a notebook in a shoebox? 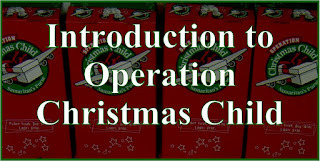 Check out this post: How to Fit a Spiral Notebook in an Operation Christmas Child GO Box. 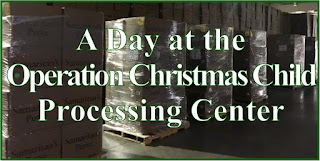 A nice size Busy Bag for younger children's toys (2 to 4 year old and 5 to 9 year old Operation Christmas Child shoeboxes). 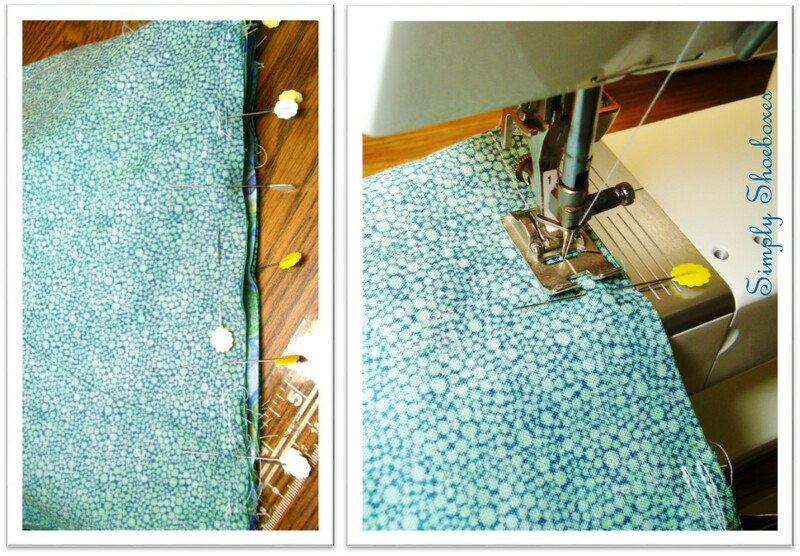 I use the Kite Tailing While Sewing method to be able to sew more bags faster. 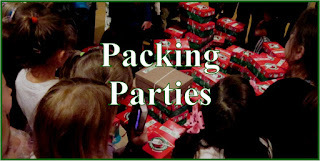 If you love to craft and would like to help kids in need around the world, you don't have to pack full shoeboxes, you can donate "Filler" items directly to Operation Christmas Child. Many crafters donate boxes full of hand crafted items. 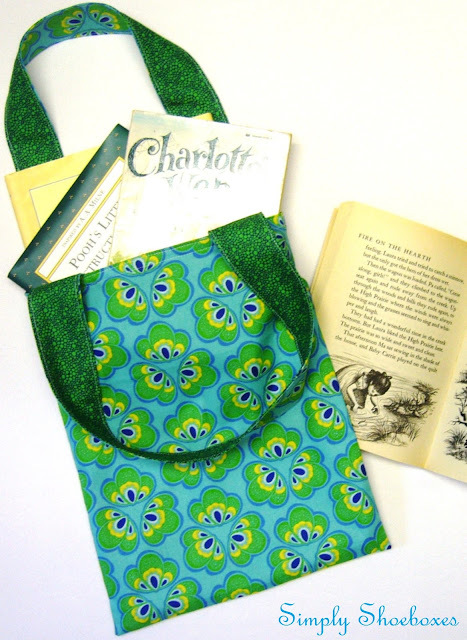 If you'd like some other tote bag inspiration and patterns check out Threading My Way's ongoing Bags & Totes link party. 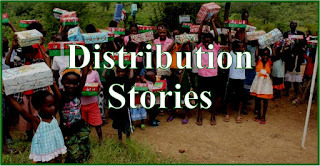 For more free patterns and directions for crochet, sewing, no-sew and upcycling crafts check out our Crafting For Operation Christmas Child Shoeboxes Tutorial Index. 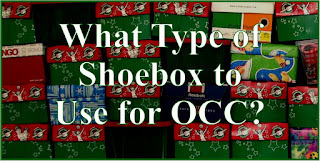 Design, images and instructions © Simply Shoeboxes. Please do not re-post in full. You are welcome to feature a photo or two with a description and a link back to this page. 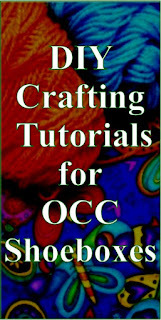 I sometimes link up my tutorials to other blogs. They are a great place to find inspiration and patterns. 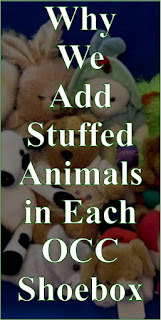 You can find links to them all here: Link Parties for Crafts and Other Inspiration. 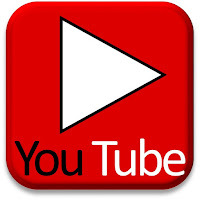 I love your latest tutorial. 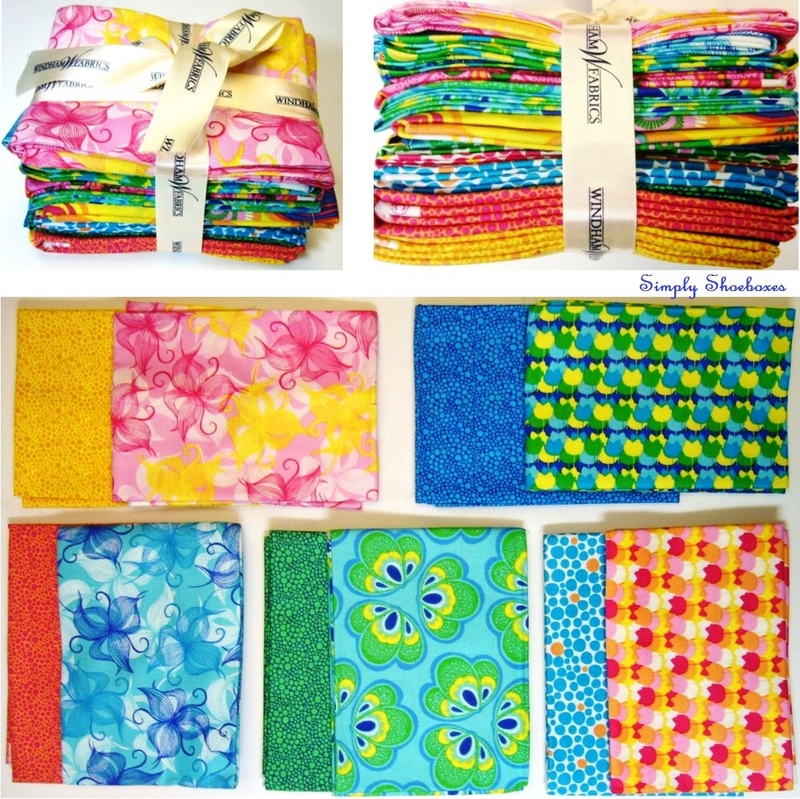 And I love the bright fabrics that you chose for your bags - fun and functional! I LOVE your choice of fabric. So cute! 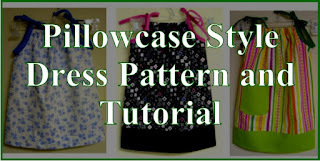 Your instructions are very easy to follow, even for this sewing beginner. 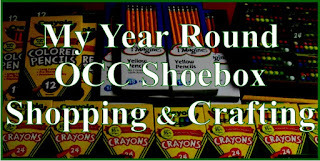 I can't wait to make these and add to our shoeboxes. thank you! Nancy, so glad to hear you think you can follow the instructions. I try to be detailed and simple so every skill level can enjoy them. You are very welcome, let me know if you run into any problems. PurplePossum, so glad you will be making some. 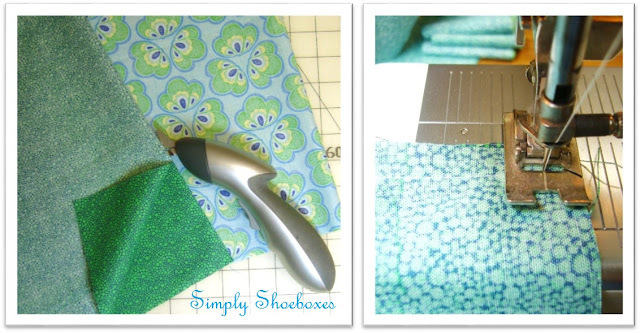 Love your idea for hemming. I always press mine up instead of pinning--the cardboard template would work great for that. I have a metal one that just does not work for me -- slips -- but the cardboard sounds like it would not slip. Thanks for sharing!! I love that Winnie the Pooh fabric, Cheryl. A great little bag, useful for carrying all manner of bits and pieces. As always, a very detailed tutorial. I've showcased your fab library bag tutorial today. I'm a huge Winnie the Pooh fan -- the original story books. This fabric was at a locally owned fabric store and I kept my eye on it. No one seemed to be buying it. She put it on clearance and I bought the whole bolt. 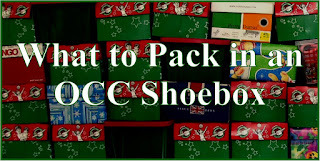 Plenty for many shoebox gifts. And thanks, Pam for showcasing the bag tutorial!